Six Wizards players scored in double-figures tonight led by Markieff Morris with 23 as Washington takes down the Atlanta Hawks, 129-104. Mike Scott added 19 points off the bench while Otto Porter and Bradley Beal chipped in with 18 each as the short-handed Wizards take care of business in Atlanta without John Wall. 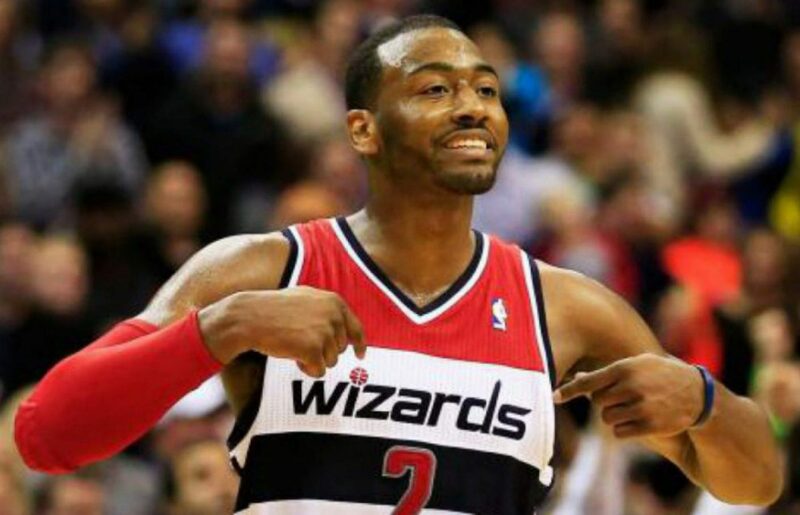 John Wall missed tonight’s game due to soreness in his knee but his replacements provided more than just a spark. Tomas Satoransky knocked down a three-pointer for the game’s first basket and that would be indicative of the night he’d have. Sato ended the game with 11 points (3-3 from three-point range) to go along with seven assists in his first start of the season. The Wizards were up by more than 20 in the second half but the Hawks were able to trim the lead to 14 to make Washington sweat a bit. But Bradley Beal killed all of that momentum with a nifty dunk to end the third quarter as time was expiring. Scott Brooks emptied the bench with just under four minutes to play as Washington breaks a two-game losing streak and is able to avoid their first three-game losing streak of the season. Yes, the Hawks defense is bad, but credit the Wizards offense as the ball rarely got stuck and was zipping around the arc getting Washington open shots all night. With John Wall out, it was that much more important that the Wizards get nice efforts from everyone and no better way to do that than making the extra pass and turning down good shots for wide open shots. 40 of Washington’s 49 made field goals (82 percent) were assisted on led by Tim Frazier who had a team-high 14 assists off the bench. Tomas Satoransky, who started in place of John Wall dished out seven dimes and Bradley Beal added five as the Wizards had a season-high 40 assists this evening. Washington was very unselfish tonight and as a result, they got the easy W.
For as long as John Wall is out, Markieff Morris is the guy who quite possibly needs to step up the most. Morris came out like a man on a mission knocking down his first three three-pointers (4-5 for the night) and scored 15 points to go along with five rebounds prior to halftime. Morris’ usage wasn’t as high in the second half but was extremely efficient knocking down three of his four field goal attempts. The tenacity wasn’t as prevalent on the defensive end in the second half as he didn’t grab a rebound but regardless, the Wizards need this Markieff Morris to show up on a nightly. Not only were the Wizards whizzing the ball around the arc, but they were knocking down their three-point shots when they got those open looks. Washington shot an impressive 18-32 (56 percent) from three-point range that enabled them to get out to an early lead and take control of this game early on. In addition to Morris’ hot shooting from range, Tomas Satoransky knocked down a career-high three three-pointers (3-3) while Kelly Oubre, Otto Porter, and Bradley Beal added two three-pointers apiece. The Wizards have struggled from the free-throw line in the past but were 13-14 from the charity stripe tonight. The Wizards improved to 6-6 this season in games where John Wall doesn’t play. No time to rest as the Wizards take on the Oklahoma City Thunder on Tuesday night, this time at the Capital One Arena.